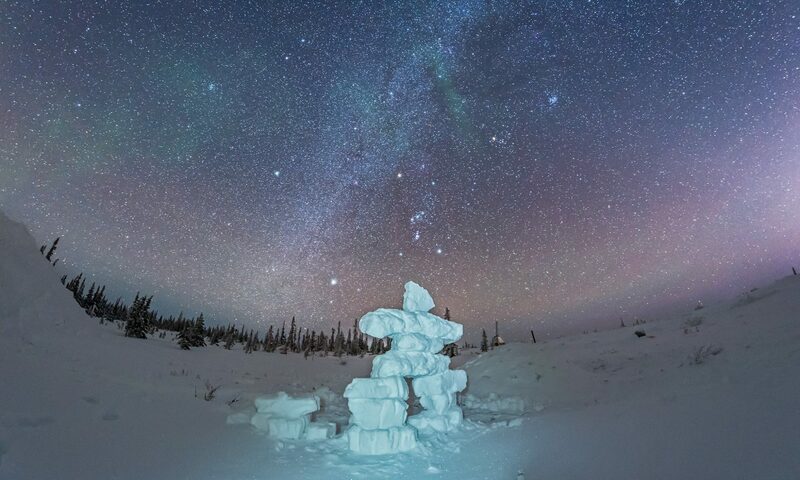 It was a marvellous night – a triple act: with a fabulous sunset, a beautiful moonrise, then as the sky got dark the aurora came out and danced. Sunday night I headed out to Dinosaur Provincial Park near Brooks, Alberta, site of the world’s best late-Cretaceous fossil finds, and a striking landscape of eroded badlands. I was just finishing taking frames for a sunset-to-twilight time-lapse movie when the aurora kicked up in activity, quite bright at first, despite the light from the nearly Full Moon, which is illuminating the landscape. I swung the camera around, loaded in a new memory card and begun shooting another time-lapse sequence of the dancing northern lights in the moonlight. While the display faded to the eye over the next hour, the camera still nicely picked up the subtle colours, like the magenta hues. I shot 330 frames, each 8 seconds long at ISO 800 and f/2.8 with a 16-35mm lens and Canon 5D MkII camera.They’ll make a great movie sequence. 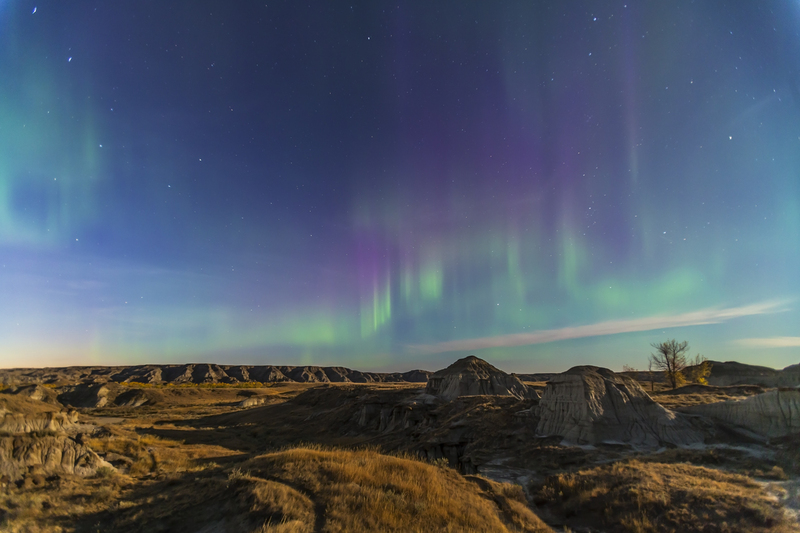 It was a 40-gigabyte night, as the second camera was shooting the moonrise over the badlands. But then I pressed it into service as well shooting the aurora. It was a great night to be at a location as wonderful as Dinosaur Park. Forgot to mention how much I love the contrast of the land and the sky! Nice one, Alan! Thanks for sharing.